Meet with an attorney that is experienced in handling Illinois medical malpractice cases to discuss your situation as soon as possible. Act Urgently If You Were Harmed In An Illinois Hospital! As you can see, you only have two years to bring an Illinois medical malpractice lawsuit. There are some excepts but this general rule normally applies and it's why you should act with haste if you are injured in a hospital. Do not speak to the doctor, hospital, or any other party that harmed you or their representatives. Contact your employer and inform them that you need income verification. Make a record of the circumstances of the incident as well as anyone present, your questions, and any memories you have about it. Try and obtain your medical history. Collect all notes, papers, receipts, or other documents that you have regarding the incident. 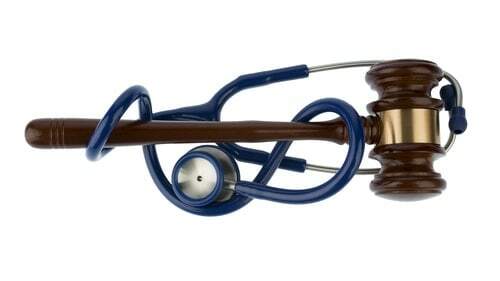 If you've been injured due to a doctor's misconduct, then you shouldn't wait to call us. Illinois' statutes of limitations as well as other laws limit your right to recover if you delay. Contact us and someone from Rosenfeld Injury Lawyers LLC will immediately begin putting the pieces together so that you don't lose the compensation that should be yours!